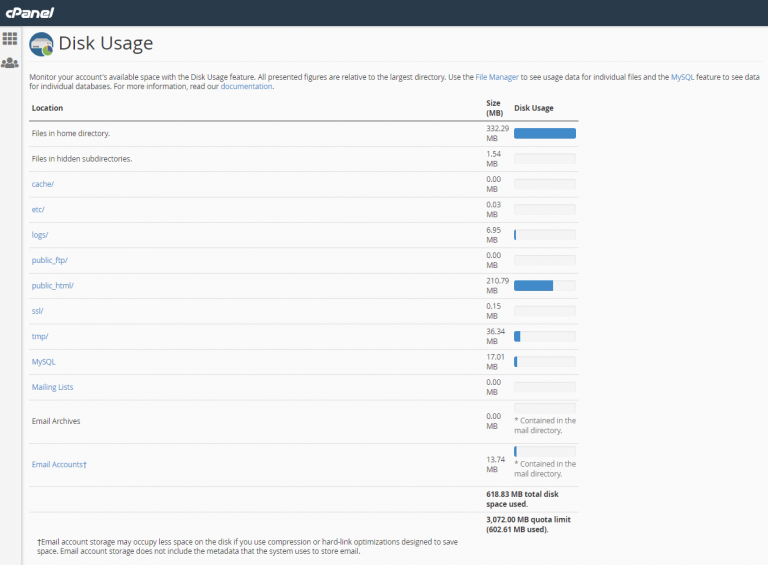 Disk Usage is a cPanel section which displays an actual information about your files, directories, and how you use your hosting account disk space. 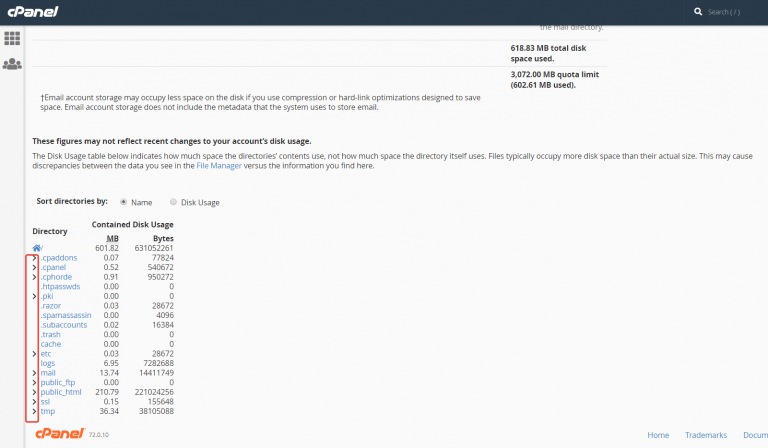 This section helps to figure out the files and directories that use the most room of disk space. If you receive a Disk Quota Exceeded warning or e-mail, this means your account has used the maximum amount of disk quota. In this case, you will not be able to update and save any files because no more disk space is available. With Disk Usage section, you can determine which files you can delete to free some disk space or conclude you need to upgrade a hosting plan. You can also see your quota at the bottom of the first table. The important thing: when you see any blue bar full, does not mean that you have exhausted all of your space for this directory – all the figures presented relatively to the largest directory. You can expand each directory by clicking on the arrows on the right, and see how much space in kilobytes takes every sub-folder or file.